New armored vehicles will roll past crowds at Victory Day Parade. Up to seven of the Russian army’s “Terminators” (official name: BMPT-72) will be taking part in Moscow’s Victory Day Parade on May 9 for the first time, Interfax reports. The “Terminator” is an armored vehicle designed for supporting tanks in urban areas. It’s heavily armed with two 30 mm cannons, guided anti-tank missiles, and machine guns. Its missiles can easily take out an enemy tank at a range of up to 5,000 m, as well as a fortified structure. It can also battle helicopters and its formidable firepower can neutralize enemy personnel up to three km away. In 2017 the “Terminator” witnessed combat in Syria. Last year the Russian Ministry of Defense procured the first 10 such vehicles. 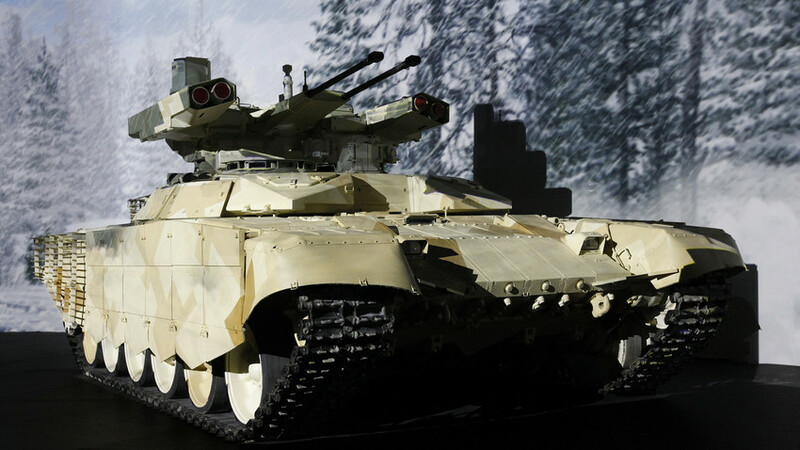 It’s believed that the first machines will be delivered to the Russian army this March. Read why and how the “Terminator” was developed here.